Our spine is one of the most complex structures within our bodies. Not only does it enable us to stand up straight and hold the weight of our entire body vertical, it also contains the spinal cord which is a key component of the central nervous system. This runs through the very center of the spine, protected by bones known as vertebrae. Between each vertebra is a small, fluid-filled disc called an intervertebral disc. This acts as a shock absorber for the spine and enables it to bend, twist and more. Over time, these discs and vertebrae can begin to degenerate. When this happens, it can place pressure on the spinal cord and the countless nerves around it. These can lead to neurological symptoms including pain, unusual sensations such as tingling and numbness and in severe cases, paralysis or loss of bowel/bladder function. The most effective way to treat this problem is to perform a type of back surgery known as spinal decompression. One form of spinal decompression that is particularly effective in treating trapped nerves or a compressed spinal cord in the neck vertebrae is a surgery known as posterior cervical laminectomy. What is a posterior cervical laminectomy and what is involved? A posterior cervical laminectomy is performed with the intention of relieving pressure on the nerves of the spinal column or the spinal cord itself. 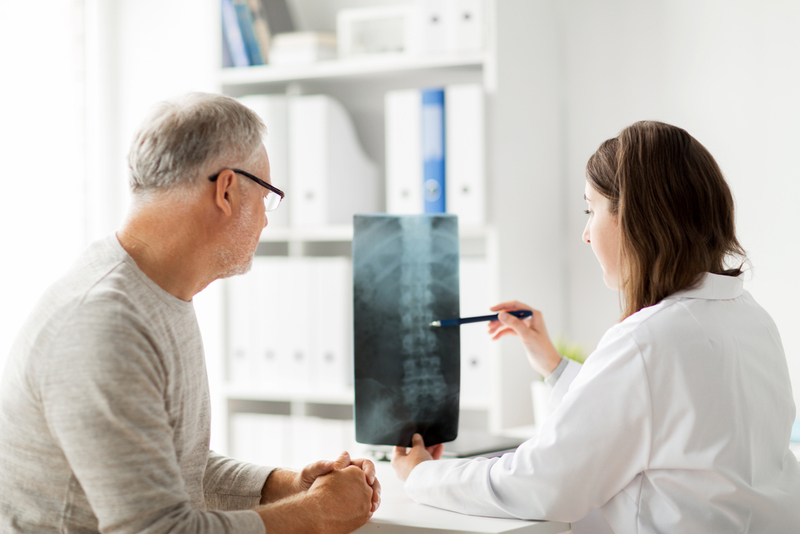 It is performed from the back of the spine and involves complete removal of the lamina, which is the thin bone on the back of the vertebrae that makes a roof over the spinal cord. This surgery is performed under general anesthetic where an incision will be made into the skin in the midline of the back of the neck which is between three and four inches long. The paraspinal muscles are then lifted away from the lamina so that it can be accessed properly. A high-speed burr will be used to cut through the lamina, separating it from the facet joints so that it can be removed either in one whole piece or in separate sections. Once the lamina has been removed, the spinal cord will have more space around so the pressure that had been causing you discomfort will have been eliminated. Patients who undergo a posterior cervical laminectomy find that the surgery significantly improves their quality of life and makes day-to-day activities far easier and more enjoyable. To find out more about posterior cervical laminectomy surgery, or to schedule a consultation with our experienced, spinal specialist Dr. L Tumialan, please do not hesitate to contact our offices.